ST. GEORGE — With school only a week away, police are reminding motorists to slow down and take it easy near crosswalks and school bus stops and to be vigilant in keeping students safe as this school year begins. The hectic back-to-school season, which begins Aug. 13, finds many drivers, including parents, driving unsafely around school zones. Some studies have indicated that as many as two-thirds of drivers speed in school zones. There are 19 total crosswalks in St. George, and three of those crosswalks don’t have a crossing guard, the St. George Police Department said. Lights at those three crosswalks start flashing at 7 a.m., while the other 16 crosswalk lights start flashing between 7:45-8:15 a.m. Speed limits at crosswalks are 20 mph or under. 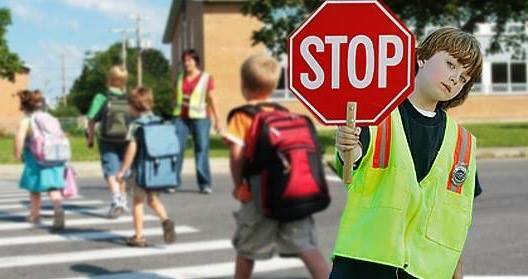 Police are also reminding drivers that children don’t always think to use the crosswalks and to go a little slower and pay extra attention in case a child darts out in front of your vehicle. In addition to obeying school zone speed limits, drive slowly in and around residential neighborhoods and practice these simple tips to avoid a potential tragedy. Do not pass other vehicles stopped in the roadway for a pedestrian. Drive without distractions, especially in a school zone. Don’t use cellphones, eat, apply makeup or do anything else that would take attention off the road and compromise your driving responsibility. Do not stop at a crosswalk with a portion of your vehicle inside the crosswalk. Traffic traveling in both directions on an undivided highway must stop for a school bus to load or unload children. Do not stop your vehicle in the middle of the street to drop off youngsters. Obey pedestrian-control devices unless otherwise directed by a police officer or crossing guard. Do not cross a roadway intersection diagonally. Use the right side of the sidewalk when passing others. Cross only on a marked crosswalk. Yield to the right-of-way of all vehicles in the roadway when not in a marked crosswalk. Walk along the shoulder of the left side of the road facing the direction of oncoming traffic when no sidewalk is present.